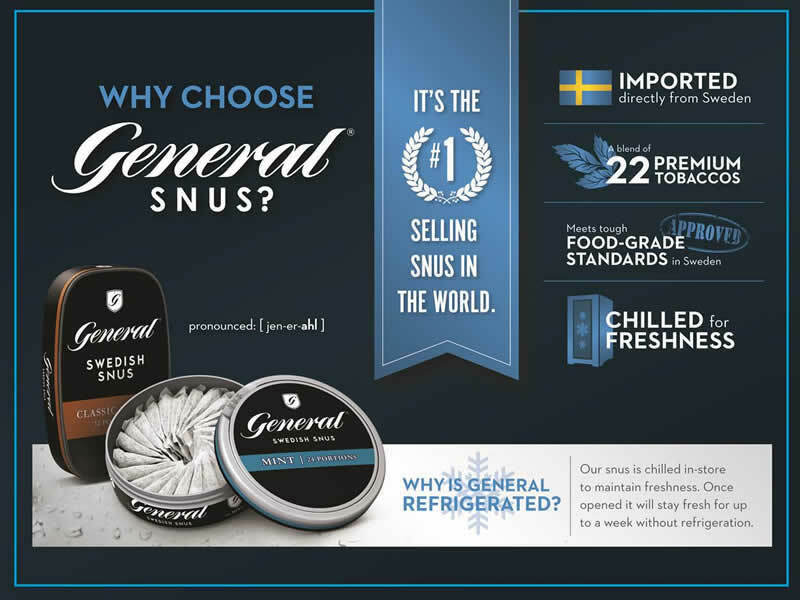 Mission Pipe shop is now offering our customers Snus by General Snus. 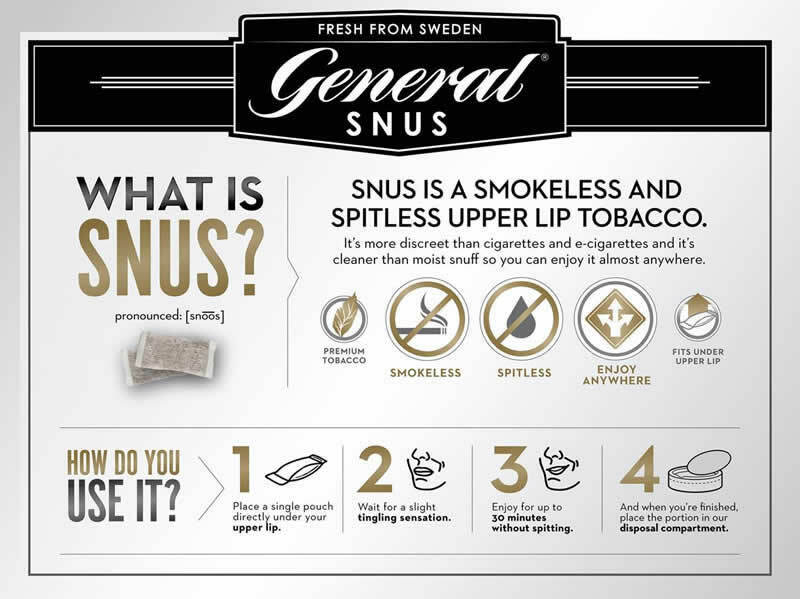 Snus is a smokeless and spitless upper-lip tobacco product that originated in Sweden and General Snus is the #1 selling snus in the world. We stock their full line and keep everything refrigerated to maximize freshness. Check out the info graphics below for more information or call us at (408) 293-5144. 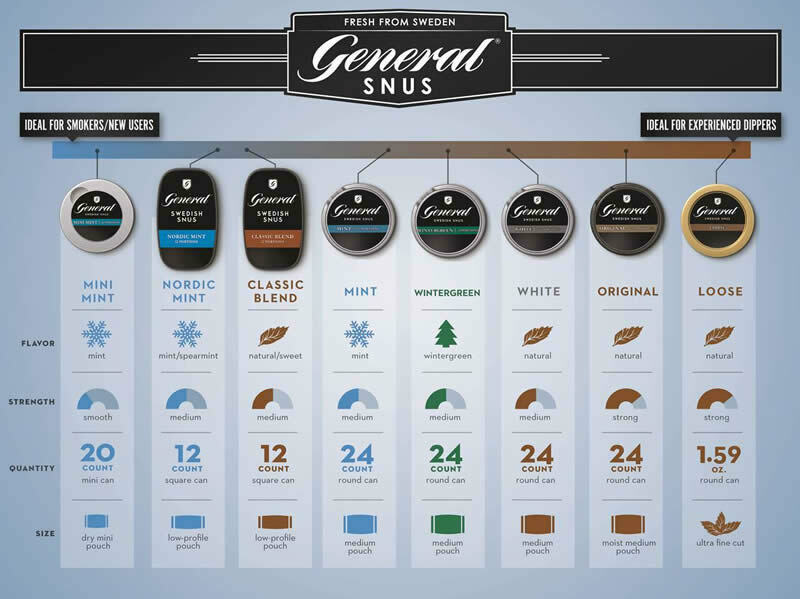 Mission Pipe Shop is the best place to buy Snus in San Jose and the greater bay area.